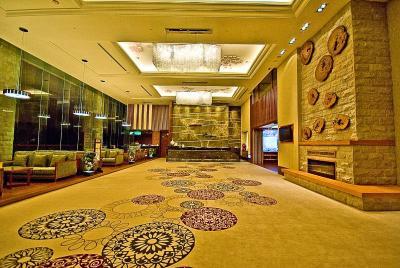 Lock in a great price for Alishan Hotel - rated 8.3 by recent guests. Very big and old hotel. 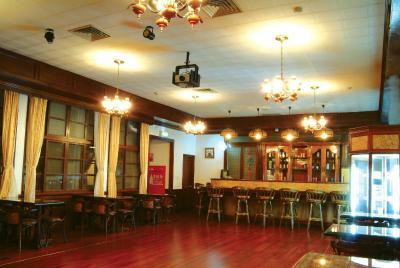 The historic building is very old and not modern but decent. 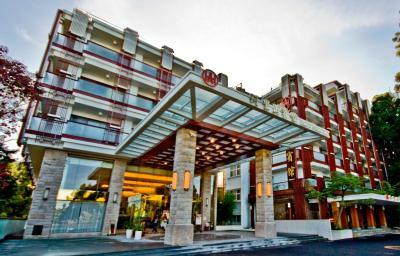 The hotel is very pricy compared to other hotels in Taiwan. Dinner is very good. Huge room. Very good at the overall. 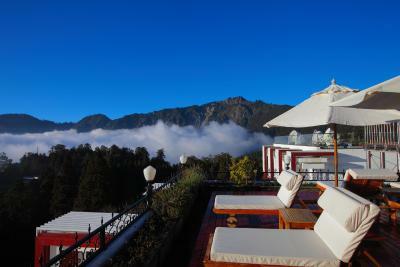 The hotel location in the forest reserve is ideal for hiking. The shuttle bus service is good. Room size is also good. The hotel staff are helpful and friendly. There was shuttle service to and from the Alishan station. 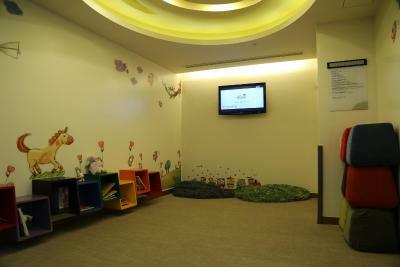 We stay at the new block and hence is very modern and clean. Good size bedroom too. I heard from my friends whom have been there said that the food is not so good, but is okay for us. The dinner and breakfast buffets were quite extensive in what they offered and tasty.The location is within the park and very close to walking trails etc. 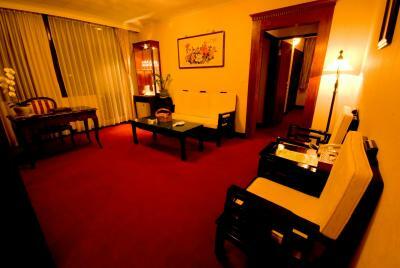 Staff contained English speakers which greatly facilitated check-in and introduction to the property. Staff were friendly and helpful. Free star gazing lesson on weekend stay. 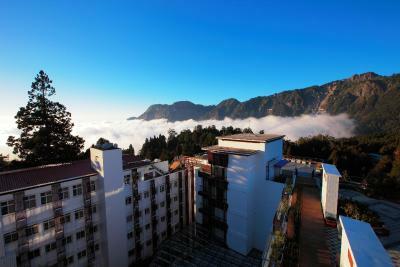 The location is the best if you wish to visit Alishan, because it’s right in the middle of the national park. It has shuttle bus to the tourist center where you can park the car. There is a heritage building that’s kind of dated so please be sure you are booking the new building. Good location, good services. A long list of facilities provided. 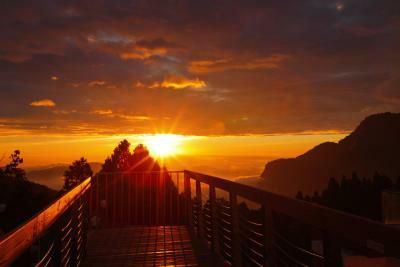 It is located in Alishan Park. 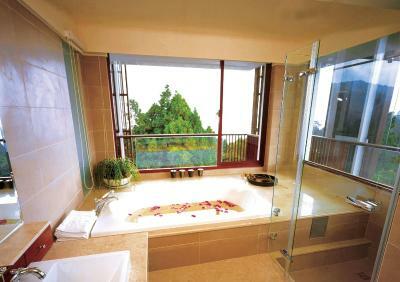 Offering a spa and wellness centre and a restaurant, Alishan Hotel is located in Alishan. Free WiFi access is available in some rooms. 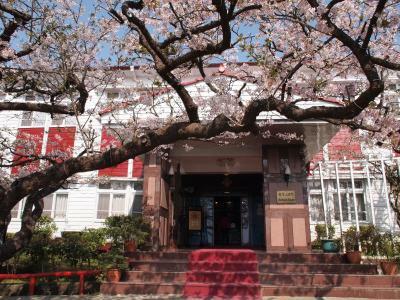 Alishan Hotel is a 5-minute drive from Alishan Railway Station. Chiayi Railway Station can be reached in 2.5 hours. Each room here will provide you with a TV, air conditioning and a hot tub. Complete with a refrigerator, the dining area also has a dining table. 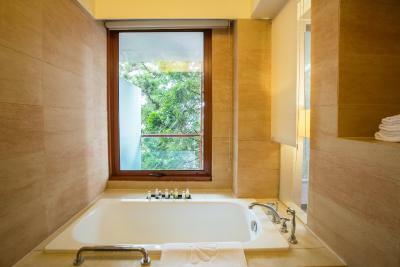 Featuring a shower, private bathroom also comes with a bath and a bath or shower. You can enjoy mountain views from the room. 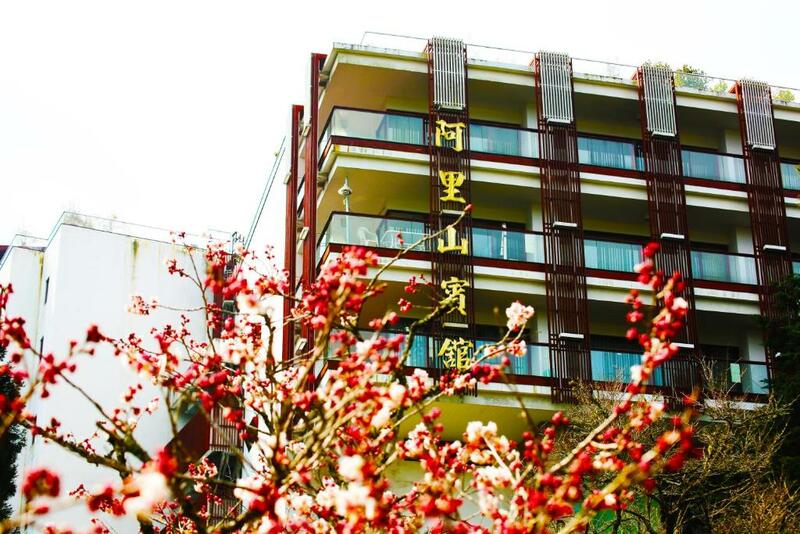 At Alishan Hotel you will find free shuttle service, a 24-hour front desk and a garden. Others offered at the property include meeting facilities, a games room and ticketing service. The property has several restaurants and cafes. This property also has one of the best-rated locations in Xianglin! Guests are happier about it compared to other properties in the area. This property is also rated for the best value in Xianglin! Guests are getting more for their money when compared to other properties in this city. 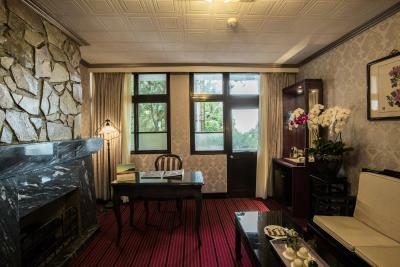 Alishan Hotel has been welcoming Booking.com guests since 11 Nov 2014. 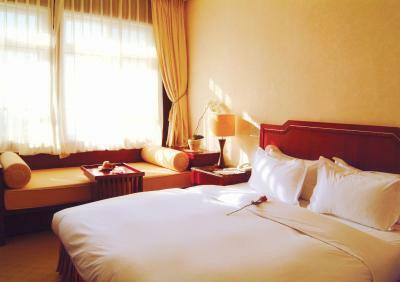 When would you like to stay at Alishan Hotel? 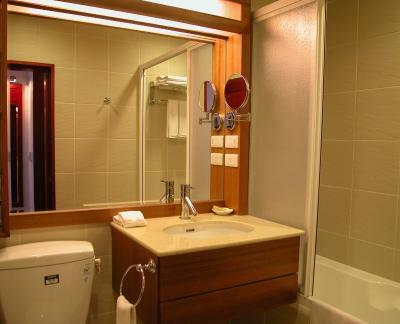 This double room features a hot tub, air conditioning and cable TV. Please note that this room is located at the Historical House. 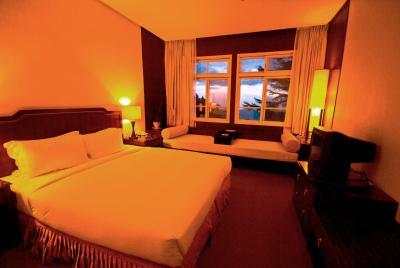 This quadruple room features soundproofing, cable TV and air conditioning. Room offers air conditioning. 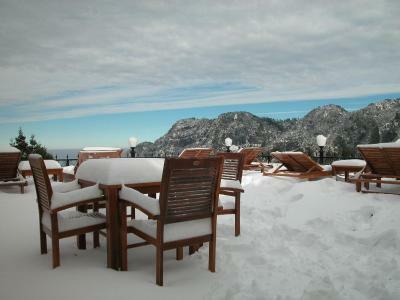 Selected rooms offer balcony and cable TV. The room can accommodate one more person. 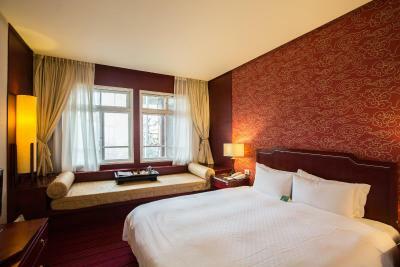 The rate is 1265 TWD(including breakfast), 1650 TWD (including breakfast and dinner). An extra 10% service charge is required. Please note that this room is located at the Modern House. This quadruple room has a balcony, tea/coffee maker and soundproofing. 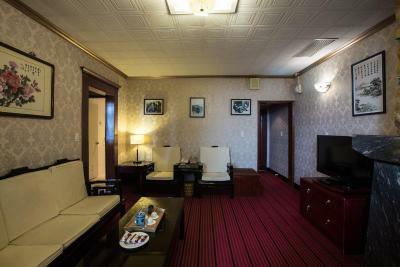 This suite features a hot tub, soundproofing and cable TV. 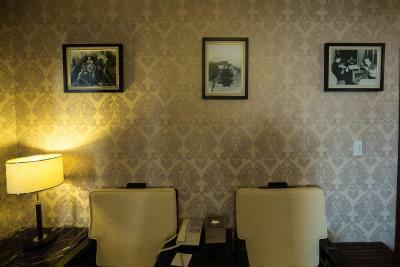 This room is located in the Historical House. House rules Alishan Hotel takes special requests - add in the next step! 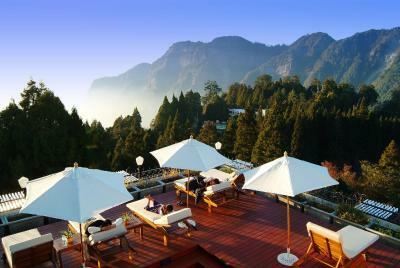 Alishan Hotel accepts these cards and reserves the right to temporarily hold an amount prior to arrival. Please note that the property is located in the Forest Control Area. Guests cannot drive into the property area. All Standard rooms are in the Historical house. 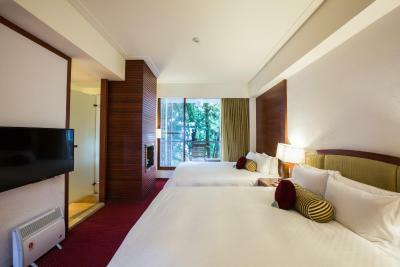 All Deluxe Rooms are in the Modern house. Historical house and modern house are two different buildings, guests could go to each building through the lobby. 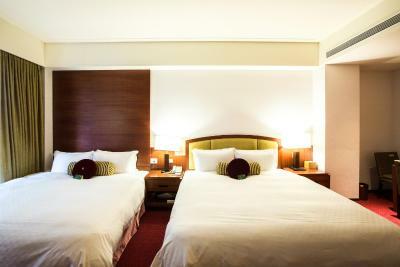 Please note that standard double room, standard quadruple room, deluxe double room and deluxe quadruple room can not accommodate extra guests. For the rest room types, one extra guest can be added. 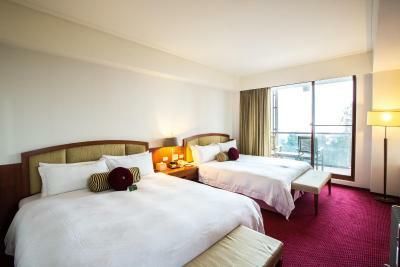 The rate is 1265 TWD (including breakfast), 1650 TWD (including breakfast and dinner). An extra 10% service charge is required. Need to take the hotels free shuttle to get to the center and train. Very old building. I was told the modern rooms are nicer, we were in the historical rooms, a bit smaller compared to the new buildings. No locked doors for bathroom and toilet. No proper hooks for clothing in bathroom. Shower should be in bathtub area so that we have dry area to dress after bath. Buffet breakfast and dinner foods should have more varieties. Better enforcement of no smoking in and around hotel. 1) Breakfast is mass production which no surprise but acceptable 2) Staff is cool and impolite. Training of attitude is very important. For example, when I seek assistance from a reception staff to make a call to order shuttle bus. The staff points the public phone and advise me to call directly. I feel helpless because my mandarin is poor and it is very important to communicate correctly with hotel . The upkeep and cleaning are not corresponding to its grading. Dust could be found on everywhere in the room. The most disgusting was on the shelf where the cups are placed. Roof top can be improve by having more greenery. Room is clean, quiet and very comfortable. Staffs are very friendly and go out of their way to address our needs. The meals served at this hotel were not satisfactory. The cleanliness of the restaurant did not meet my expectations. 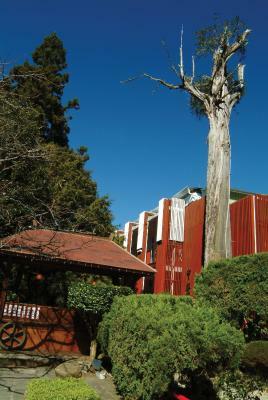 Despite some disadvantages, it must be the best place to stay in Alishan Park. I think this is the best accommodation in Alishan Park. Location is very nice to work around park. But the building is too old and needs to be repaired. But, you can enjoy a very impressive sunset on the rooftop of the hotel, and the hotel offers convenient services for viewing the sunrise. Room was in the heritage wing so water temperature was rather inconsistent and this made water conservation almost impossible. The menu in the main dining restaurant could use a more regular change because the dishes were almost identical for my three-day stay. Members of staff in F&B could benefit from English language proficiency upgrade so they can communicate more confidently with the guests and provide a more pleasant dining experience to those who don't speak Mandarin or local dialects. Excellent location to access the park. Friendly and helpful staff at the Reception. Room was generally clean, except the cobwebs at a corner near the ceiling. Additional heater provided to keep guests comfortable during the cold nights.